Liverpool will be looking to cement their place at the top of the Premier League table with a win over Chelsea at Anfield on Sunday afternoon. Here is the latest team news for both sides ahead of the game…. The Reds have no fresh injury concerns to worry about this weekend after coming through their Champions League quarter-final first leg win over Porto in midweek unscathed. 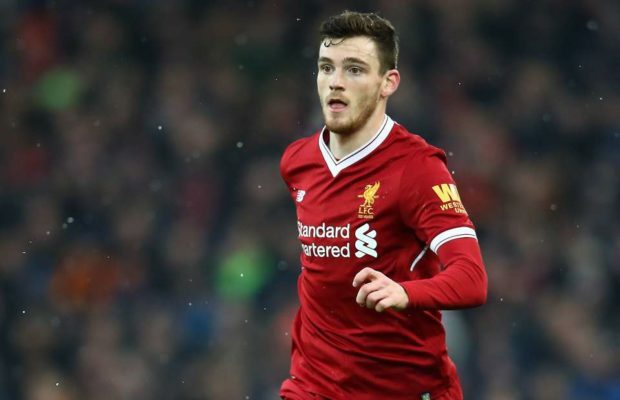 Andrew Robertson should return at left-back after being suspended on Tuesday night so James Milner will be free to move into midfield after deputising in defence last time out. Joe Gomez has been back in full training recently after recovering from a fractured leg but Jurgen Klopp says he won’t rush the youngster back in to action too soon. Liverpool have Dejan Lovren, Joel Matip and Virgil van Dijk all available to occupy the two centre-back positions so there is no need to push Gomez before he’s fully match fit. Adam Lallana will be given a late fitness test after missing Liverpool’s last two matches with a muscle problem but the Chelsea game is likely to come too soon for Alex Oxlade-Chamberlain as he continues to work his way back to full fitness from a serious knee injury. Chelsea have virtually a fully-fit squad to choose from with only Ethan Ampadu out with a back injury and Marko van Ginkel out for the rest of the season with a knee ligament injury. Maurizio Sarri is expected to recall a number of his star men for the trip to Anfield this weekend after making several changes for the Europa League quarter-final win in Slavia Prague on Thursday night. Eden Hazard played for the final 30 minutes during the 1-0 win in the Czech Republic so the Belgian international is almost certain to be recalled against Liverpool on Sunday afternoon. N’Golo Kante, Emerson and David Luiz were also rested against Prague last night and they’re expected to come back in to the Chelsea side with Mateo Kovacic, Marcos Alonso and Andreas Christensen dropping out. Callum Hudson-Odoi was given a breather in the Europa League so the youngster will be hoping for a recall after impressing lately while Gonzalo Higuain could come back in for Olivier Giroud up front.